Matted and ready to pop in a frame! 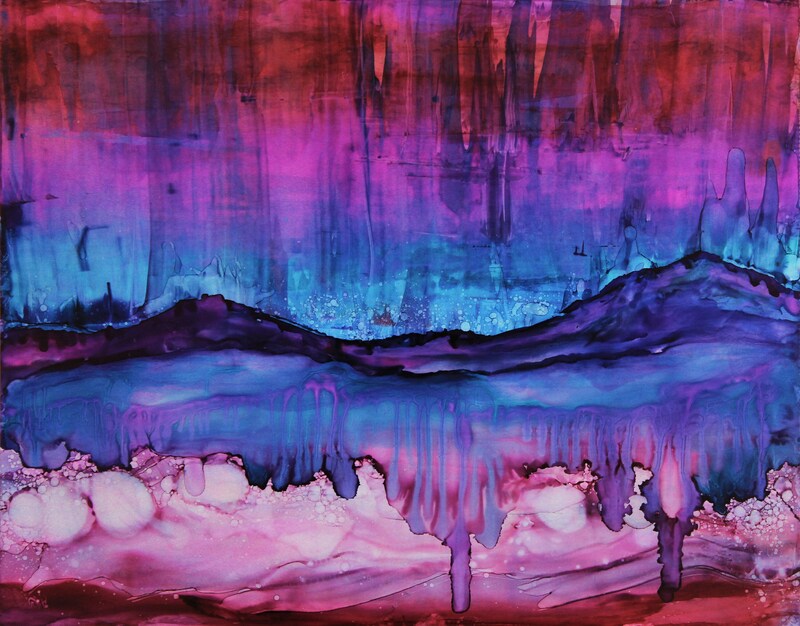 This original, watercolor-style, aurora borealis art is made using a medium called Alcohol Ink. 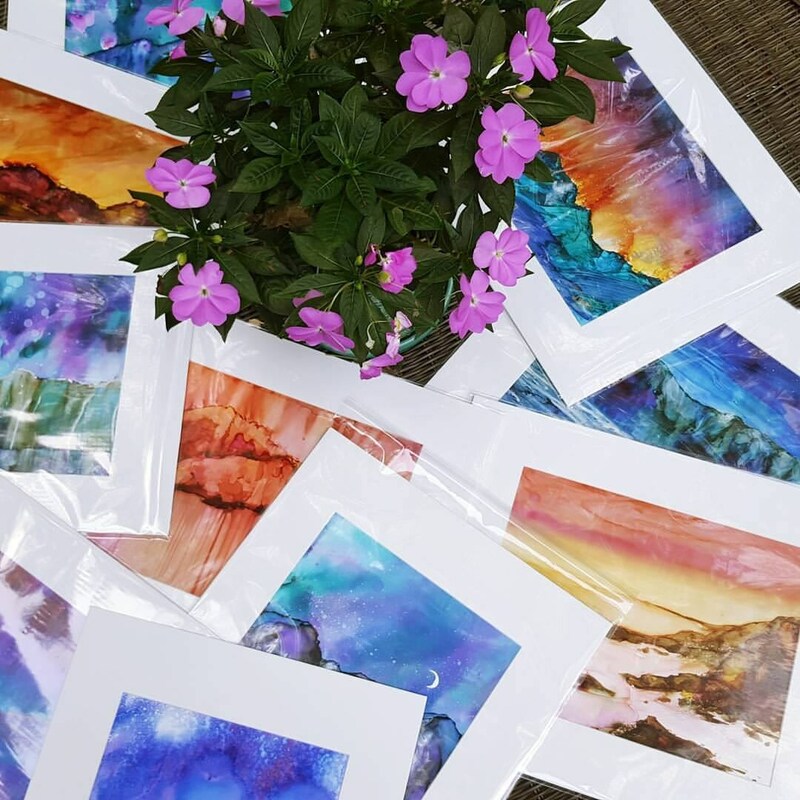 It looks like watercolor, but the pigments are much brighter, richer, and vibrant with a matte finish. 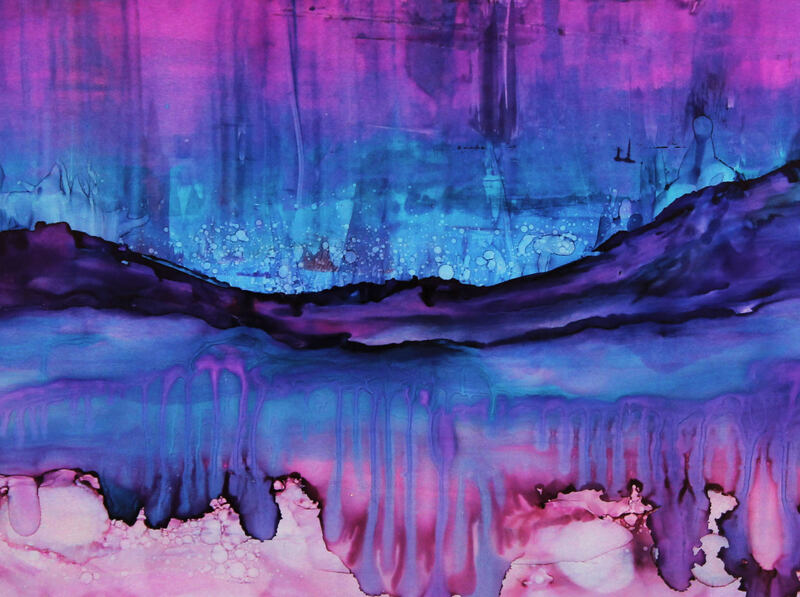 This vibrant, semi-abstract painting is energetic and ethereal. 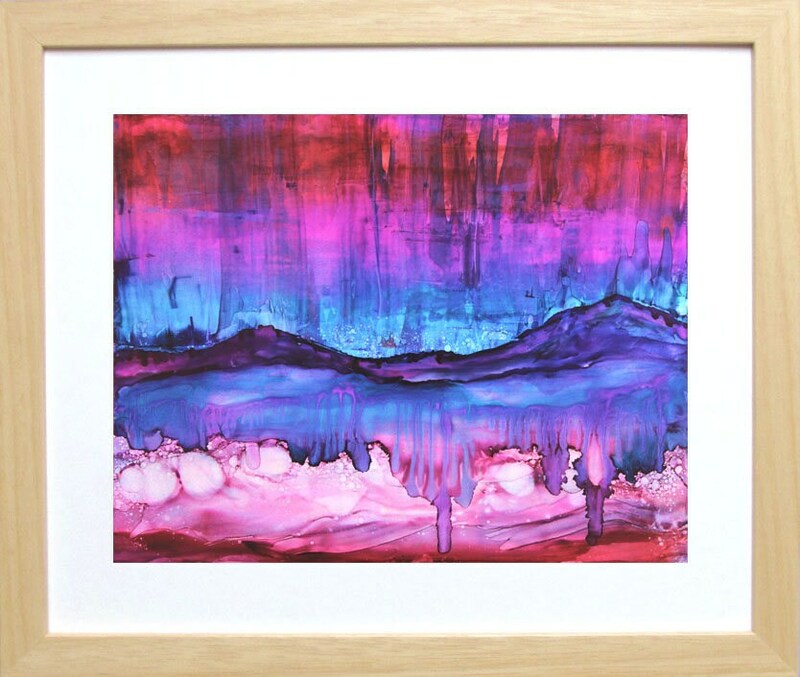 A mountain landscape is lit up by a bright pink and blue sky that seems to be reflected in water below. This piece comes with a mat, backing board, and protected in a plastic sleeve. 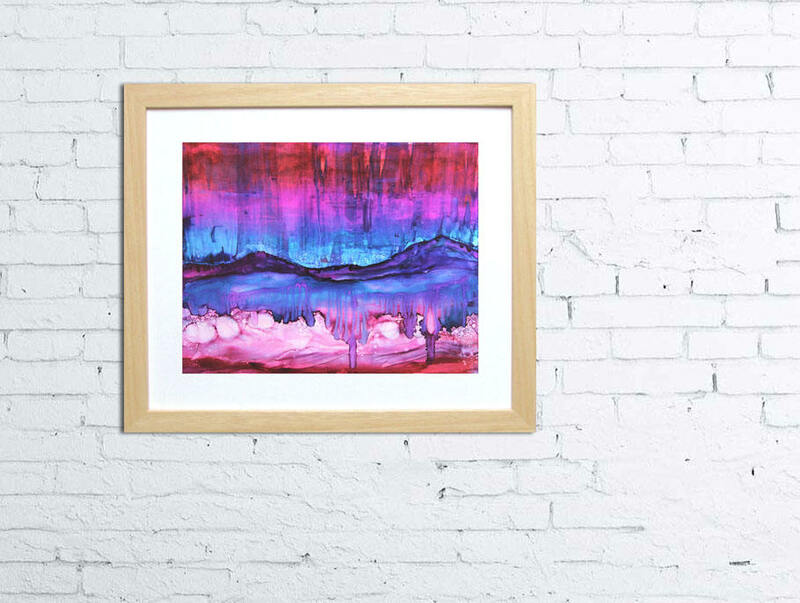 It is unframed, but it's a standard size that's easy to frame yourself! Note that the photo may not be quite to scale (see dimensions at the bottom of this description).